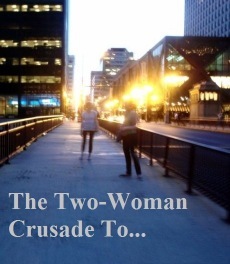 So glad you found the Two-Woman Crusade. As most of my social bios state: I run. I write. I love books, theater, movies, a good story, optimism, Oxford commas, & caffeine (lots and lots of caffeine). Now that I have more characters to run with I’ll add: I am a dork to the core and believe in enthusiasm above all else. Because if you don’t believe in and enjoy what you’re doing…why? During working hours I am a social media specialist for Tier One Partners, telling unique, inspiring stories in equally unique and inspiring ways, and striving to perfect the art of 140-characters. 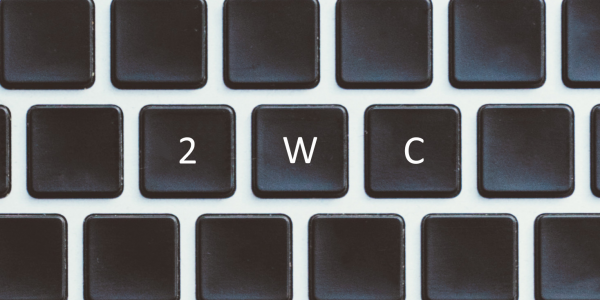 Since 2009 the 2WC has faced a wide array of crusades—cultural, political, social, etc., and I look forward to facing whatever comes next. If you have any questions, please visit the Contact the Crusade page, or drop me a note below. p.s. You can also find the Two Women on Facebook, Twitter, and Instagram, we’re equally awesome (and humble) there.